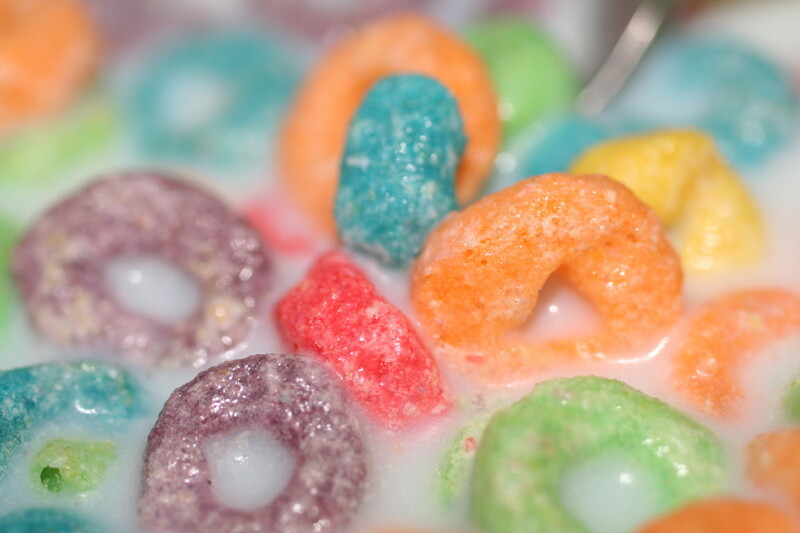 One morning not too long ago I woke up and had a craving for Fruit Loops. I have no idea where this craving came from. It just popped up from nowhere. I don’t even eat cereal anymore. But nevertheless this yearning for F. Loops was strong enough that it caused me to make a special request to my mother in Texas. I asked her, “Can you please send me some Fruit Loops?” “Fruit Loops?,” she said, “Why on earth do you want Fruit Loops?” I really couldn’t give her a good answer except that I was just simply craving them. At the same time it reminded me of my childhood love for Captain Crunch. I told her that if I had to choose between the two, I would choose Captain Crunch, but clearly something had to be done to satiate this Fruit Loop longing. From time to time I get cravings for things that remind me of home. But all in all, I have learned to live without many things that I didn’t think I could live without since moving to Denmark. It’s not so much that I really want this certain type of food, it’s more about getting a familiar taste or smell or sight in mind that makes me keep my connection to home, the U.S. Since there are not so many American goods on the market here in Denmark, and since my lifestyle and diet have changed dramatically since moving here, I have learned to live without many of the same comfort foods that I grew up with. But, as with the Fruit Loops there are times when I just want the taste of Stove Top Stuffing, Campbell’s Chicken & Stars, Frito’s, Sunchips, Nutter Butter cookies, cream soda, Dr. Pepper, or even SpaghettiOs, which I used to eat almost every time I went to visit my grandmother when I was a kid. Part of the process of living in a new country is adopting new traditions, tastes and connections to things and letting go and accepting that I can only enjoy these other comforts from home every once in a while. It’s a lesson in learning to live without and enjoying them when it’s possible. It’s also about adopting new traditions, trying new things and being flexible and creative. Instead of Chicken & Stars, I’ve learned to make home-made chicken soup with fresh root vegetables. Instead of Stove Top, I make home-made stuffing with fresh herbs and incredibly tasty Danish bread, and instead of Fruit Loops or Captain Crunch, I have the opportunity of choosing from a multitude of muesli and healthy oatmeal options. But, today I will enjoy my Fruit Loops. My mother ended up sending me some and what she did was send a big box of Captain Crunch, which I’ve already eaten as a breakfast, lunch and dinner meal, and a variety pack of America’s most well-known cereals including Fruit Loops. I’m lucky that this pack also includes Kellog’s Frosted Flakes and Cocoa Puffs because I never know when a craving for one of these might hit me from out of the blue. Thanks mom. Sorry, no. You may just have to do like me and make and S.O.S. call to a friend or family member. There are services too that will mail you things from the U.S. if you look it up!